We got back from London and were happy to see some progress while we were gone. 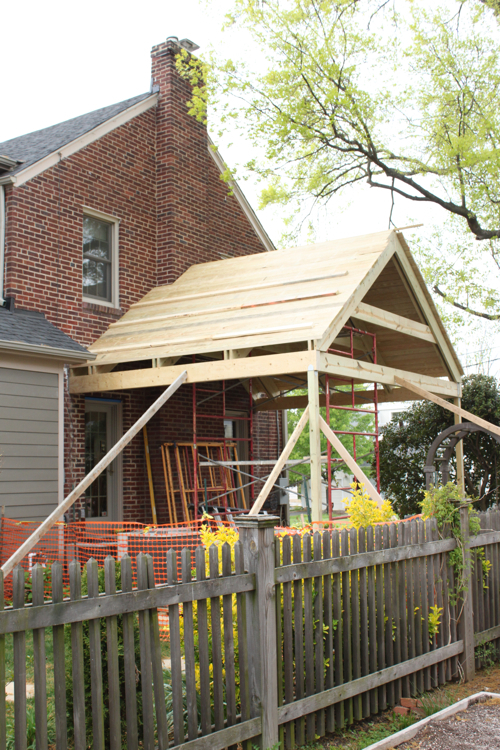 Of course, I was dreaming of a fully framed and roofed porch ready for paint screens and electricity.... Ummmm... no. Clearly I was delirious!! But, the framing had a good start and the roof was going on when we arrived home. 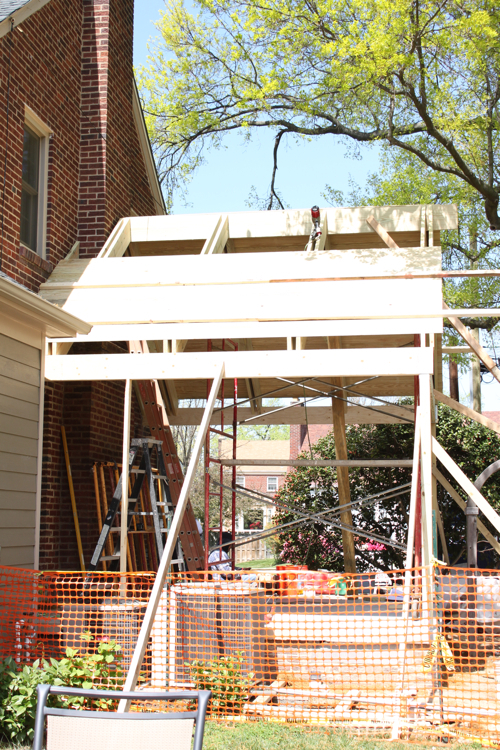 And by Tuesday, we had a finished roof. 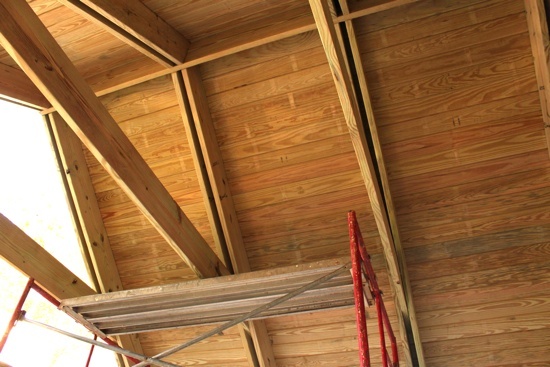 Instead of plywood sheets, we have a tongue and groove pressure treated roof so the inside looks finished. It will all be painted but it will have a great look inside. Handy Hubby is totally cringing because he loves the bare wood. Can't do it - sorry. Then on Wednesday we had shingles going up. My vision is really starting to come together. More on the shingles later. Anyone watch Modern Family last night? I had tears running down my face watching it. By myself. Handy Hubby is working hard on the master bedroom built-ins so I have lots of TV time.